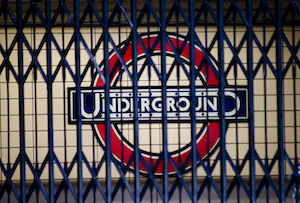 Strike action by London Underground workers has delayed introduction of the Night Tube. It seems trade unions are still capable of giving employers a bloody nose. Today Transport for London confirmed that its plans for all-night services on some London Underground lines will not come into effect on September 10th as previously planned, after ongoing strikes from several trade unions. Its introduction has now been put back to an unspecified time ‘in the autumn’ while TfL tries to get workers on board. The unions understandably see this as a massive triumph for a movement that they regard as under attack by the Conservative Government. ‘The fact that the plans have now been suspended indefinitely to some vague date "in the autumn" is clearly a massive embarrassment to both Boris Johnson and George Osborne but gives us an opportunity to now get the basics that should have been sorted months ago worked out through direct negotiation.’ said RMT general secretary Mick Cash. It also demonstrates that organised labour still has the power to effect change. Though trade union membership has been in decline since the times of Thatcher, we've recently seen an upswell in strike action - in the public sector at least. Even the Government’s plans for stricter rules around trade union ballots would have done little to prevent what has happened to TfL this summer. The Trade Union Bill proposes that strikes in key industries like energy, transport and healthcare should only be permitted if turnout exceeds 50% and 40% of those eligible vote in favour. The votes carried out by ASLEF and Unite were so decisive (97.6% on an 81.3% turnout and 70% on an 82% turnout) that their strikes would have gone ahead regardless, and TSSA’s ballot wasn’t far off. RMT didn’t disclose its turnout but 91.7% of those who did vote were in favour of striking. Some will see today’s news as a just victory for workers who were unfairly expected to work longer and more anti-social hours without reasonable reward; others will see it as a gang of overpaid Trots throwing their weight around and spoiling everyone else’s commute. What’s clear is that trade unionists will not give up without a fight.